When looking at a music service for the very first time, there's usually a lot of information on the company's website that you'll need to read through first in order to decide if it suits your needs. With this in mind, this Spotify FAQ article aims to save you a lot of time searching for answers by covering common questions. What Type of Music Service is Spotify? Spotify is a cloud music service that offers millions of full-length tracks. Rather than purchasing and downloading songs as you would using a traditional service like the iTunes Store, Amazon MP3, etc., Spotify uses streaming audio to deliver digital music. A compression format called Vorbis is used to deliver music streams over the Internet with the audio you hear being played at a bitrate of 160 Kbps — if you subscribe to Spotify Premium, then this quality is doubled to 320 Kbps. 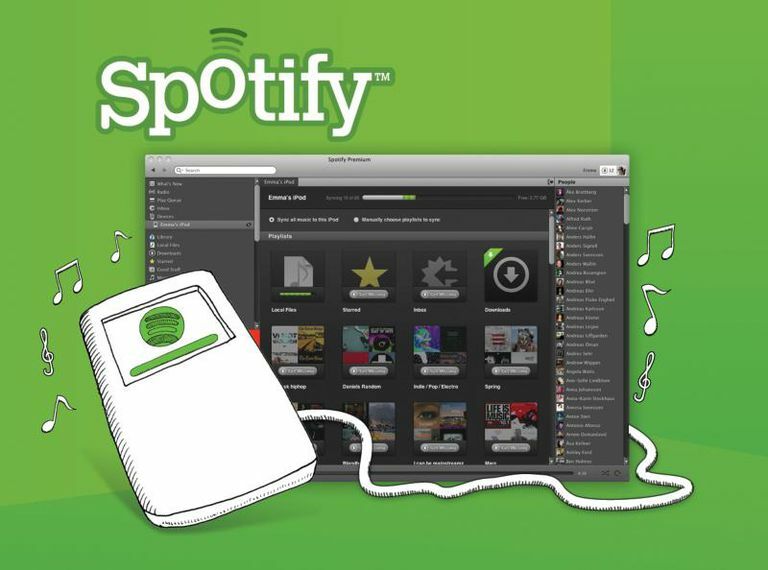 In order to use Spotify, you have to download a software client that is available for Windows, Mac OS X, several mobile platforms, and other select home entertainment systems. The Spotify client also manages DRM copy protection to prevent the unauthorized copying and distribution of streamed content. Has Spotify Officially Launched in My Country Yet? Additionally, if you subscribe to Spotify Premium in one of the above countries and travel to another part of the world that Spotify hasn't rolled out to yet, then you'll still be able to access the service but won't be able to sign up or buy a subscription. Spotify now supports a variety of mobile platforms that can be used with their streaming music service. Currently, there are mobile apps for: Android, iOS, BlackBerry, Windows Phone, Windows Mobile, S60 (Symbian), and webOS. If you subscribe to Spotify Premium, then there's also the ability to cache songs offline so you can listen even when not connected to the Internet. Can I Use My Existing Music Library with Spotify? Yes, you can by using the import facility in Spotify's application. If you've got an iTunes or Windows Media Player library already, then you can import your local files into Spotify. The advantage of doing this is that the program scans your collection to see if the songs you have are also on Spotify's music cloud. It's loosely similar to iTunes Match and the music that Spotify links to your online account can then become shareable with others via social networking tools. Does Spotify Have a Freemium Option? Yes, it does. You can sign up to Spotify Free first which is a cut-down version of the more full-featured subscription tiers that the company offers. The songs that you play with Spotify Free are full tracks, but come with advertisements. If you are unsure whether Spotify will be a suitable music service for your needs, then this free version gives you a way to try out the basic core features of Spotify before you financially commit. Spotify Free is limited, but your account won't expire so you can stay with the freemium option as long as you like — or upgrade at any time to one of the paid-for subscription levels. The amount of free listening time does vary depending on where you live in the world. For instance, if you live in the United States there's unlimited listening time, but if you reside in other countries your time is limited. For users in the United Kingdom and France, there's also a limit on the number of times the same track can be played. For a full run-down on this streaming music service, read our full Spotify Review for more information.